If you want to book it It is available day times and evenings. 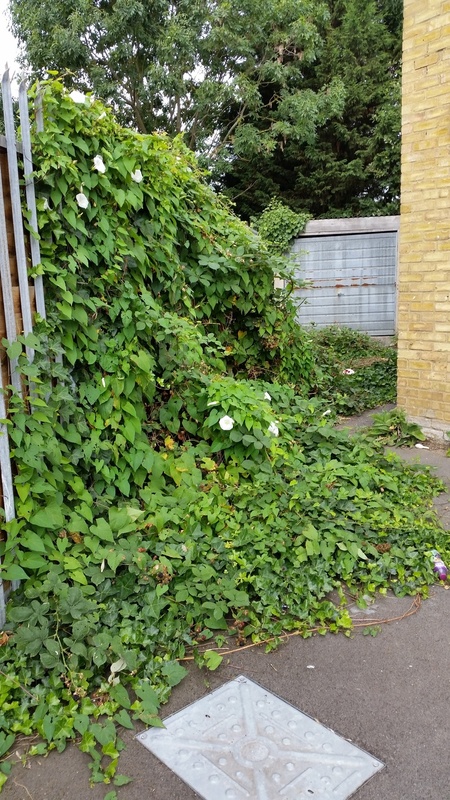 Either email twick.brunswick@btconnect.com or phone 02088942571 evenings. Our snooker room can also be booked. Well the National Championships for U.10-U13’s is over for another year and a big well done to our five club members who attended. The fact that they all attended some without the benefit of a coach in their corner says a lot for their character and determination. Jai in the U.12’s did not qualify from his group but played in spite of not being at his best due to feeling unwell. Adam too did not qualify in his group but had very tough opposition. Reports indicate that he enjoyed the opportunity and played well which is all one can ask. In the U.10 age group, Louis also did not qualify from his group but fought hard in his matches to finish third. The second place qualifier needed all five games to get the better of Louis McPhee, winning 3-2 (10-12, 12-10, 11-8, 7-11, 11-1). Louis then won a five-setter of his own against Alf Beresford-Peirse, who was ranked forty places above him in the U.13 rankings, (11-9, 10-12, 7-11, 11-8, 11-9). Oliver and Parsya who were in the same group also missed out on qualification to the knock out stage. Parsya the youngest lost all his matches but could still try again next year. Oliver finished third and only missed out narrowly on the knockout rounds after starting with a defeat to Charlie Davidson in five – the winner taking it 4-11, 11-5, 10-12, 11-3, 11-9 – and then losing his final match 3-1 (11-4, 8-11, 11-5, 11-2) to Daniyal Palmer. Still a great experience for them all and a big thank you to the parents who took the time and effort to attend and be responsible for our club members. 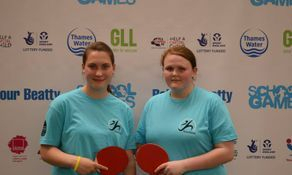 Twickenham Brunswick are once again well represented at the National Championships for table tennis. Congratulations to Jai, Adam, Oliver, Louis and Parsya on being invited to participate in their respective age groups. We wish them well for the coming weekend Sat and Sun 16th / 17th June 2018. Realistically we are not likely to return with any medals or titles but for an independent youth centre that has made table tennis its focus we are doing well. With three representatives in the U.10's this is the age group in which we stand the best chance of doing well. It was great to visit Ashford TTC at the weekend Saturday 9th June 2018. Thank you to Mark for the invite and running the tournament. Not a great day for us by results, but in other respects very useful. We introduced three new players, Li, Paul and Billy to competitive play. It also gave three of our players,Oliver, Adam and Louis who are attending the National Championships a taste of competitive play again. And our more experienced players received a bit of a reminder that they cannot be complacent as other players are training hard and improving. On the day only Arya and Josh managed to win a match for the A and B teams respectively. Congratulations go to Medha who made it through to the semifinals of the women's event where she lost to the same opponent whom she had beaten in five sets to take the Womens U.21 Title. 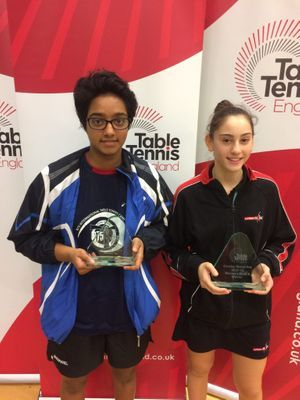 Congratulations to Medha Verma on her recent achievement coming runner up in the Crawley Grand Prix in the Womens Band 4 singles. Medha's success is well earned due to to the hard work and commitment she shows to her training. What is most important to a participant in sport? Is it natural ability or hard work? It is quite aggravating at times when adult players look at a young player and say Oh he/sh'e a natural... when both coach and player have spent hours honing and refining their skills. The success that Medha is achieving, is attainable by all our club members if only they showed the same commitment and determinatuion as Medha with support from her family. Through July and August we are going to run a drop in tournament night, run on a ladder basis and a bit like a Swiss tournament. Our upstairs room that used to be part of the boxing gym is now open for use. The room has a newly refurbished 3/4 size snooker table and a small pool table. A smaller area in the room has been segregated off to form a music room. Within in it are a Casio Workstation, a Yamaha P120 keyboard, accoustic / electric guitar, 50 watt amplifier, Behringer Mixer board and numerous microphones. The room can be booked by appointment rates negotiable., or used by regular club members. After three weeks of quite undistinguished performances the team " Got it together" for one last effort. Circumstances on the last day saw the B team relocated in Division 4 from Division 5 with a number of clubs not able to field teams. Confident performances from Arya, Theo and Eamon saw them edge their way to the top of the table in the first round with a narrow victory and then consolidate their position with two convincing victories. Well done Division 4 Champions. Twickenham Brunswick have two National Champions. Twickenham Brunswick Amateur Boxing Club has now achieved levels never seen before at the club thanks to the hard work and dedication of the coaches and Junior boxers. After a successful weekend we now have two boys, Ollie Wilkins & Tommy Stokes that made it through to the England National novice finals and came away as National Champions. Both favorites to win at their weights Ollie out-boxed his opponent in a tight contest while Tommy Stokes won by default when his opponent withdrew.. This Sunday 6/11/12 saw Ollie Wilkins box in the England novice semi finals against Oleksandr Glebik of the famous Fitzroy Lodge boxing club, Ollie had come to win and was all fired up for his opponent who we new was very strong and had only been defeated twice in his career, at the sound of the first bell Ollie came out fast catching his opponent with 3 and 4 shot combinations to the head and body and didnt really let him settle when he did catch Ollie it made no difference as he was totally focused on the job and and carried on working the head and body and comfortably winning the first round. The bell sounded for round 2 and once again Ollie came out fast and furious and gave his opponent little time to gather himself as Ollie worked the head and body as he had done in the first only this time he was catching the body more when going downstairs so much so his opponent now had his left arm by his side, the bell sounded and and we were comfortable we had won round two. He will be boxing the National final on the 13 November and hopefully will be crowned champion. 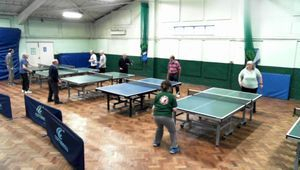 Are you 50+ and would like to play table tennis... then why not pay us a visit on a Monday afternoon between 2pm and 4pm. £5-00 for two hours of fun with tea and biscuits included. 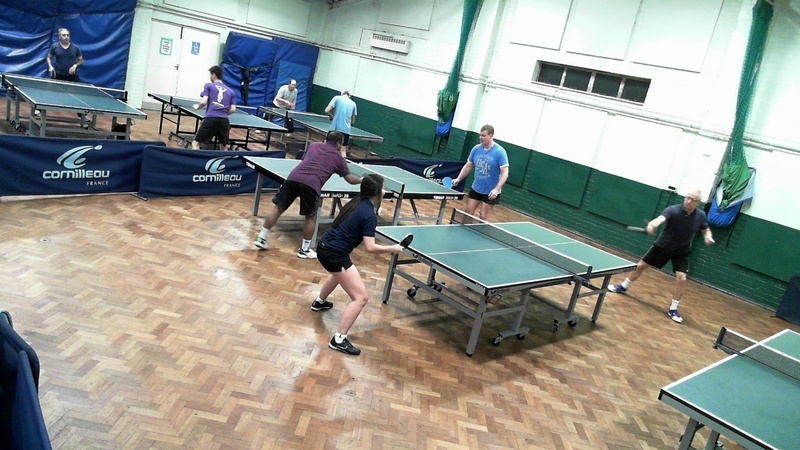 Join our sociable little group that meet each week for a bit of friendly "Wiff Waff!" 2016 has been a good year for Riochmond Upon Thames in table tennis. Jaikalin, Eli and Julia slightly more experienced players were ably supported by a more mature Yasemina and a very supportive Jess. but magnanimously allowed some of the stronger players, who appeared later, to take front stage. New Year Table Tennis Tournament. Sunday night saw an impromptu table tennis tournament for those who attended the evening. After organising the groups once, more arrivals saw a re-arrangement to three groups of five players. The groups saw quite predictable outcomes with Alex Gough, Tomasz Simka, Adam Burgess, Paul Storey, Simon Vine and George Long qualifying from their respective groups. George(Szolt) and Sean Macmenamin also secured qualifying places for the knock out stage. After the first round in the knockout stage the qualifying semi finalists were Tomasz and Simon, Adam and Alex. A very close encounter between Tomasz ansd Simon saw Tomasz edge ahead in the fifth set while Adam took an easier three love match to reach the final. A late night final saw Adam Burgess overcome Tomasz, in a match of free flowing rallies that would graced any final, earning him the title Club Champion. A visit from Teddo the Clown, AKA Alan Benns, Organizer of the Teddington Pram Race,seen below handing over a very generous donation of £1000 to help fund our Wednesday night club for 8-13 year olds. 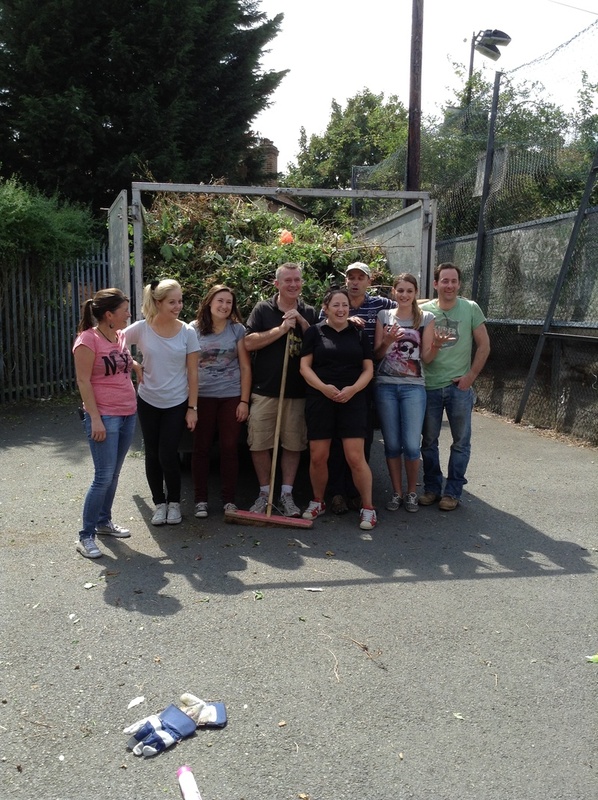 The picture below shows Teddo with Sharon and a number of the club's young members in the Art Room. 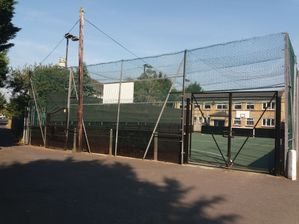 The extra funds will ensure that there is always sufficient stock for the young people to undertake the art and craft activities they so much enjoy, and will also enable us to replenish games equipment for the more boisterous and active members. So a HUGE THANKYOU from all the Wednesday Night members and staff for such generosity. 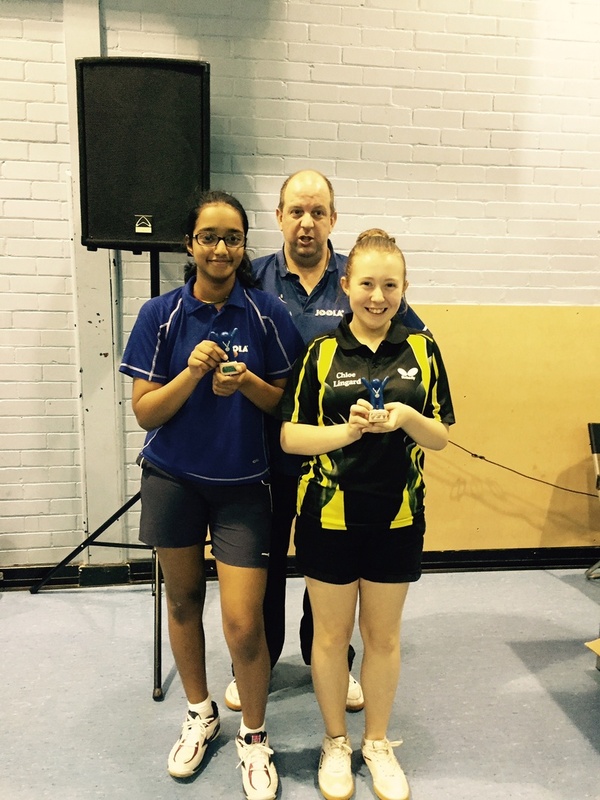 Congratulations to Medha and Morgan on their performances at the 2015 National Championships. Although neither made it through to the knockout stage both upheld the good name and reputation of the club. Both Medha and Morgan have more potential than their performances at present reflect, but as they mature as players hopefully we will see them able to perform at their best in the trying conditions of a top competition. 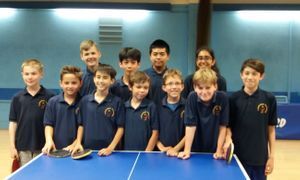 Sunday the 12th April 2015 saw a small group of players from the club attending Morpeth School/ Table Tennis Club to participate in the London Qualifiers for the National Championships for U.11 -U.14's. Over the past five -six years the club has been well represented at these events and also in the National Championships. 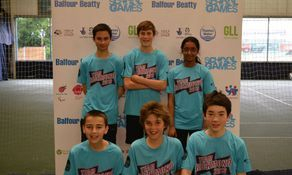 The club was represented by Finlay Feil and Ishaq Tahir in the Boys U.14 age group , by Morgan Wilkins and Julian Lee Charlton in the Boys U.12 age group and Medha Verma in the Girls U.14 age group. The competition was tough in all the sections. Ishaq Tahir battled away in his U.14 group finishing a commendable third as did Finlay Feil neither of whom made it through to the final group. Medha Verma however qualified in fourth place in the Girls U.14 after losing her first three matches she recovered to end the day strongly winning matches four and five. 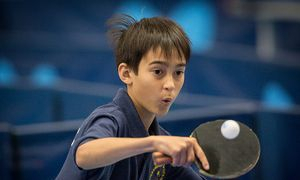 In the Boys under 12 groups Julian Charlton Lee found the going tough in his group but gained valuable experience, losing five matches but still managing won victory. However performance of the day goes to Morgan Wilkins who adapted to all styles of play winning all of his first six group matches, then in the final group finished second winning all but one of his matches, the one defeat being to the eventual winner Charlie Cunningham of Guildford. The club will be represented at the Nationals by Medha and Morgan later this year. Well done to all the players who represented the club. The 2014-15 Season for Junior British League has come to a close and was nail biting to its conclusion. The Ashford Brunswick team is a team of boys who, apart from George Long, have been long term members of Twickenham Brunswick. . Weekend one saw Charlie Rahbani, our oldest and most experienced player being.supported by Alex Gough and George Long a member of Ashford Club. A disappointing defeat at the hands of local rivals Greenhouse 3 saw us pushed back into 5th place. Although we are at a point where one or two players have not represented the club for a while we have a record number of England Ranked players. 22 players, virtually all juniors, appear in the ETTA ranking list for Jan/Feb 2015 with a further two who should be appearing on the list next month. 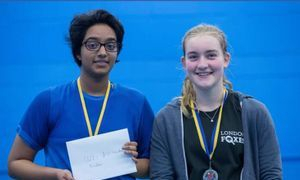 Medha was runner up in the Burton Uxbridge 1 Star Cadet Girls and went to through to the semi-finals in the Junior Girls event, losing finally to Chloe Lingard in both. On Saturday she played in Chandlers 2* tournament where in spite of losing her group matches, she could have easily come second in the cadets group. but after losing two matches narrowly in the fifth the disappointment told in her games later. Sunday was much better at Burton, she did well against higher ranked players and held on to her nerves. In the juniors, she came second in the group losing closely in a five setter to Olivia Fletcher. Below is a picture of her cadet girls trophy. The first weekend started with real promise with the Brunswick /Ashford team pulling off some good results, holding Westfield to a 3-3 draw in a match where Charlie Rahbani won two of his matches and a similar 3-3 draw against Cardiff where all the squad won one a piece. And Top Team Ormesby only managed a 4-2 win over our squad through match that ended 12-10 in the fifth. Twickenham Brunswick was given a makeover this week, after several years of decline and neglect while nature took its course. 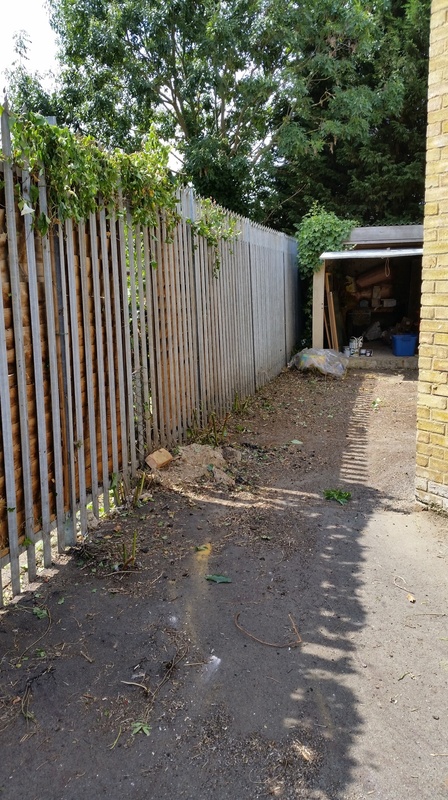 So we were very grateful to The Telereal Trilium Team who came and lent a hand with getting the club grounds back in shape. Its only too evident, from the pictures above, what a great job they did. London Youth Games June 2014. Congratulations to all our club members on representing their respective boroughs. Ten club members represented Hounslow and Richmond upon Thames..
Michael Papior led the Hounslow team, supported by Ishaq Tahir, with some outstanding performances against Kensington and Chelsea and Islington. At the end of the day they had done enough to finish third in their group. Richmond girls were in a group of three. Medha Verma, Yasemin Burgess and Ruby Penney played well to win their first round match but were not quite good enough to win their second match meaning they finished second in their group. However they forced their opponents to play to their potential in order to secure their win. Richmond boys played Camden in the first round and secured quite an easy 5-0 win, only to have to face Bromley who had an extremely strong pairing of Jack Merton 58 in England at u.18 and Luke carter No.69 in England at U.18. The match was no walkover for Bromley although it resulted in a 5-0 victory for them. James Corner and Alex Gough put up a good fight in the singles as did Jack Richards and Finlay Feil in the doubles. Well done too to Hardeep Dhaliwal who played the first round doubles with Finlay in the doubles against Camden. overall another very satisfactory outcome finishing second in the group. Thanks also go to Rhiannon Folan for acting as team captain and manager of the Richmond girls team. Our boys team have been together for a number of years now and have been consistent in their performances over the last couple of years. Two boys will be too old to compete for Team Richmond next year so a special thank you to Alexander Gough and Jack Richards who have played Table Tennis for a number of years with Team Richmond. Each year we struggle to get female table tennis players so it was great to see we had three competing this year! These girls are still young enough to compete for many more years so hopefully theyll continue to compete for Team Richmond after a fantastic result of 7th overall. Saturday the 5th April 2014 saw a small contingent of players from Twickenham Brunswick travel to London Academy to compete in the London Qualifiers for the Nation Age Group Finals for U.11 to U.14's. It was disappointing that so few players from the club were available or wanted to participate, but well done to those who did. In the Boys U.11's Jules Charlton-Lee played in only his second competitive competition and put up some good resistance to a lot of more experienced players. Morgan Wilkins also put in some good performances winning 4 and losing 4 but doing just enough to secure himself a place in the National Finals in Doncaster later this year. Medha Verma played in the girls U.13 competition and after coming second in her group finally came third in the final group to ensure her selection for the National Finals. After two or three years of attending the National Finals Finlay Feil found that some of the younger players are gainiing in experience. Dropping 4 matches during the day Finlay only found himself placed as third reserve, although he did take the eventual winner to a fifth set which finished 11-9 in favour of his opponent. Finlay Feil found himself in a group with five players three of which were around his standard, in all but one of his four games he came off second best. In his last group he won all of his matches which made up a little for his earlier defeats. With the new publishing of the ETTA Rankings for Dec 13 comes the news that Theo P. Hainsworth has entered the U.13 rankings at 178. Unfortunately we are not informed as to his age group ranking but as an U.11 I can only guess that he is somewhere inside the top 100 a brilliant achievement for a young player who has only started competitive play this season and has reached this ranking only through playing National Cadet and National Junior League. Twickenham Brunswick is continuing to progress in the table tennis section against all the odds. With minimal support in coaching, no real external funding or sponsorship the club still manages to achieve outstanding results. Amongst our achievements so far this season are:- 6 players attending the Milton Keynes 2* and James Corner finishing fourth. Three players, David Rahbani, James Corner and Rhiannon Folan qualifying for the group stage of the National Championships for Cadets and Juniors. In the Local League we have 10 juniors playing in the 1st Division of the South and West Middlesex League. Our club membership includes 20 Junior players with England Rankings 3 in the top 50 plus another two ranked within the top 100 of their age group. 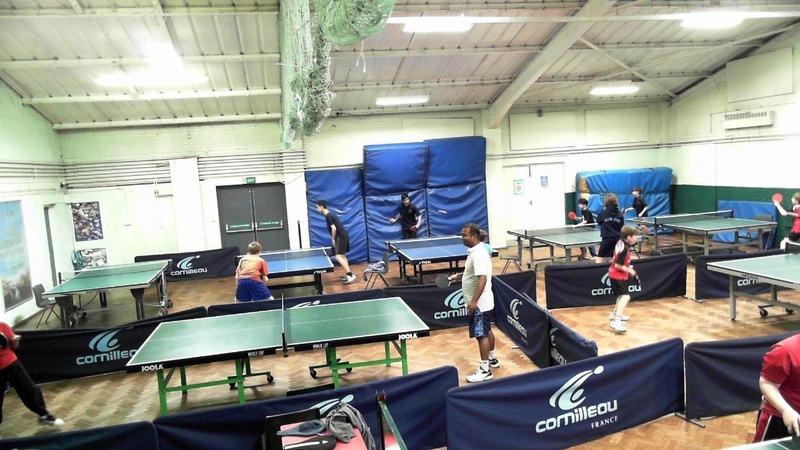 The club entered six players in the Milton Keynes 2* Table Tennis Tournament for U.14's. this weekend 26th Oct 2013. The tournament was also attended by two or three very talented players in James Smith (10) Oliver Tyndall(17) and Reiss Vydelingum (38) at U.15. The tournament went much to form only with James Smith losing out to Oliver on the day, these three taking the top three places closely followed by James Corner from our club. There was a little disappointment as nerves, emotion or tiredness seemed to get the better of some of our other players. However all performed to expectation, but with none showing that adrenaline rush and raising their game for the occasion. Results or finishing positions will be posted when available. but well done to James Corner, Alex Rahbani, Michal Papior, Finlay Feil, Tyrell Soleyn and Medha Verma. A further eight players were involved in the National Cadet League at capital city Academy. To enable the club to keep running and provide opportunities for the members to play in league teams we need to raise funds to cover the league costs. 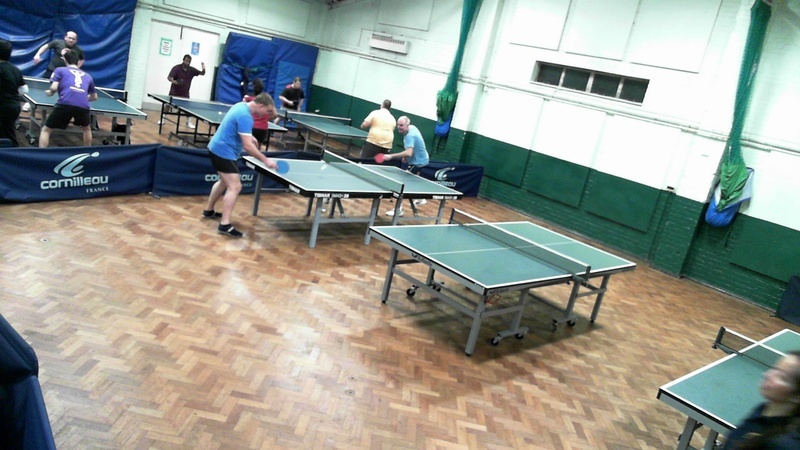 Each year we hold a sponsored table tennis event and encourage our members to request sponsorship from people beyond their direct family, so the burden of finance does not always fall on the family and also so the members take some responsibility for funding their activities. This also helps ensure that the members are committed to turning up when selected for teams. Well done to all those who were able to come. We had five players and one guest in the morning session and another six in the afternoon. Not only have we raised fun but the event also proved to be a good training session for the tough season ahead. Another well done to John Barman, Michal Papior and Rahbani family who not only participated in the sponsored event, but had very resourcefully collected all monies in advance so to date we have raised £184 towards this years expenses. All girls faced challenges of their own, Juliette had the difficult task of playing in the top spot in spite of her Junior ranking (92), Rihannon just came off from her GCSEs, and Charlize (number 12 U13) was playing some girls several years older than her. Vidal, Charlize’s coach supported the girls throughout all matches, a very big thank you to him. Kwok and Jane Barella (London Region Coach) also came to cheer on the girls. A lot of relief, happiness, and strong feelings of being part of one team as the girls realized they had made it. A big thank you to Medha’s parents who made the journey, cheered on the girls until the end, while Medha was ready to step in at any time to relieve them. Last weekend was the Summer Young Players Festival at Cippenham. June 22nd and 23rd. With two or three players from the club pulling out of the event with other engagements we were left with just two players who played on the Sunday in the U.16 and u.18 age groups. In the U.16 event Alex Gough did not make it through to the main knock out stage, but performed well in all his matches giving higher ranked players a hard time. Michal Papior meanwhile competed with great determination and qualified for the main event a win in the first round of the knockout saw him come up against Olamide Waurola who lived up to his ranking. In the U.18's tough groups saw both Alex and Michal having to settle for the Consolation event. Michals competition ended in the first round, but three wins including a victory over Gem Ryder saw Alex Gough reach the final. Despite a valiant effort Alex had to settle for Runner up in the U.18 consolation event. Well done to Michal and Alex for representing the club so well. The London Youth Games must rate as the next toughest competition after the National Championships. There is nothing that our club relishes more than competing against the best. Our ethos is still that of a youth club not a table tennis centre of excellence, and this is what I feel makes us successful.. There is no pressure to succeed, there is just delight when it happens. The Club this year again supplied the players for the Hounslow and Richmond teams for both boys and girls. Five boys and two girls represented Richmond and two girls and three boys represented Hounslow. Well done to James Corner, Jack Richards, Alex Gough, John Barman and Finlay Feil. The Richmond boys achieved their best result ever in the history of the games finishing 8= only losing out to an extremely strong Enfield team and with nearly all the players in the 12-14 age group they still have time to improve. The girls Medha and Alice also did well finishing third in their group and 13th overall, again they have another three or four years to compete. For Hounslow Rhiannon Folan performed extremely well with a partner, who should be commended for having a go, finishing third in their group. The Hounslow boys included Charlie Rahbani in a coaching role and Alex Rahbani and Michael Papior both just 12 who met stiff opposition from two very strong boroughs to finish third in their group. Well done to all the club players and Sean McMenamin on managing the Richmond team.